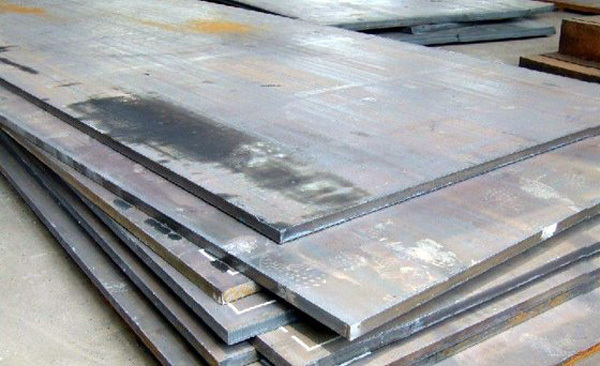 X80 steel plate chemical composition (wt %) is: 0.035 C; Si 0.25; Mn 1.84; P 0.013; Mo 1.84; Ni 0.33; Nb 0.065; Cr < 0.02; V < 0.02. X80 steel add more Mo, Ni, Nb micro alloying elements, such as fine grains effect, under the condition of low carbon content, which can effectively improve the X80 steel strength and toughness. X80 pipeline steel plate is one kind of high clean steel, the steel material has high tenacity strengthened through deformation, and the steel grade of the welding processing has higher special requirements, main feature are: use proper welding technology to prevent grain coarsening, local softening and the embrittlement at the welding heat affected zone, realizes the purity of weld metal and grain refinement, eliminating weld defects and improve the weld strength to ensure the quality of welding. 1, using automatic welding technique. 2, using semi-automatic root welding welding + self-protection flux cored wire filling covering +semi-automatic welding process. 3, using alkaline welding rod arc welding + self-protection flux cored filling covering-semi-automatic welding process. Among several welding methods, automatic welding method is the most efficient used in open area; semi-automatic welding method efficiency, but is suitable for the construction of various terrain is one of the main construction methods; welding rod arc welding of the root welding process efficiency, the lowest in the use of large diameter pipeline construction is used only for terrain special limited place, even the head of the construction or repair welding construction.